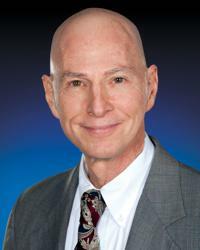 Philip Appel, PhD, Director Emeritus of Psychological and Neuropsychological Services, now Senior Resource Clinician and Assistant Professor in the Department of Rehabilitation Medicine at Georgetown University School of Medicine has been with the MedStar National Rehabilitation Network since 1987, working with individuals who experience persistent pain that interferes with their performance and obtaining quality of life. Dr. Appel works to help individuals adjust to the life challenges that are brought on by disability and chronic illness or injury. He teaches a variety of mental practice techniques to enhance performance through learning mentally the movement patterns needed to execute a complex motor pattern. Self-hypnosis, guided imagery, relaxation, and meditative techniques are all used to provide the individual with a greater awareness of self and ability to regulate performance and influence desired outcome. Army Commendation Medal 4th Oak Leaf Cluster. Army Commendation Medal 3rd Oak Leaf Cluster. Army Commendation Medal 2nd Oak Leaf Cluster. Army Commendation Medal 1st Oak Leaf Cluster.